Plumbers always talk about detecting plumbing issues early. Is it really that important? Actually it is. If left neglected, plumbing problems can result in much damage causing many thousands of dollars’ expenses. Their early detection makes it easier to arrange for repair services and prevent possible water damages or work interruptions. This concerns both residential and commercial settings. But sometimes it is quite difficult to notice some subtle plumbing issues. However, there are some warning signs that you can be aware of. Read on to find out what they are. Leaks are the universal issue that a plumbing system can encounter. They are mostly difficult to locate, unless they’re quite large or you’re very observant. Still, it’s good to know some indications of a potential leak. Lower water pressure in a plumbing appliance or fixture might point to a leak somewhere in the pipe system. Noticeable signs of water damage on walls, ceilings, or floors can also indicate the leak somewhere in that overall area. Monitor your monthly water bills to see if they start to increase for no evident reason. Usually it means that some hidden leak is draining water out of the system. When the drains in your home or business facility start backing up frequently, it is surely a bad sign. It probably means that there is a blockage located somewhere inside the drain pipe. Be careful with commercial drain cleaners, if used incorrectly they could actually damage the pipes instead of cleaning them. In this case professional drain cleaning is the best way to deal with this issue. Recurrent backups could also be the result of “bellying.” This happens when soil shifts over time or due to some major event like an earthquake, deforming the pipes coming out of the building. If a dip forms in the pipe, it can cause backups by preventing the wastewater from proper drainage. This might even require a complete repiping of your property. Unbearable smells coming out of the drains could mean different things. It’s possible that you just need to schedule drain cleaning to eliminate waste buildup. Or the sewer vent could be blocked, forcing gases down into the drain system instead of venting them out. Regardless, it’s not something that should be ignored. If you notice this issue, call a plumber. 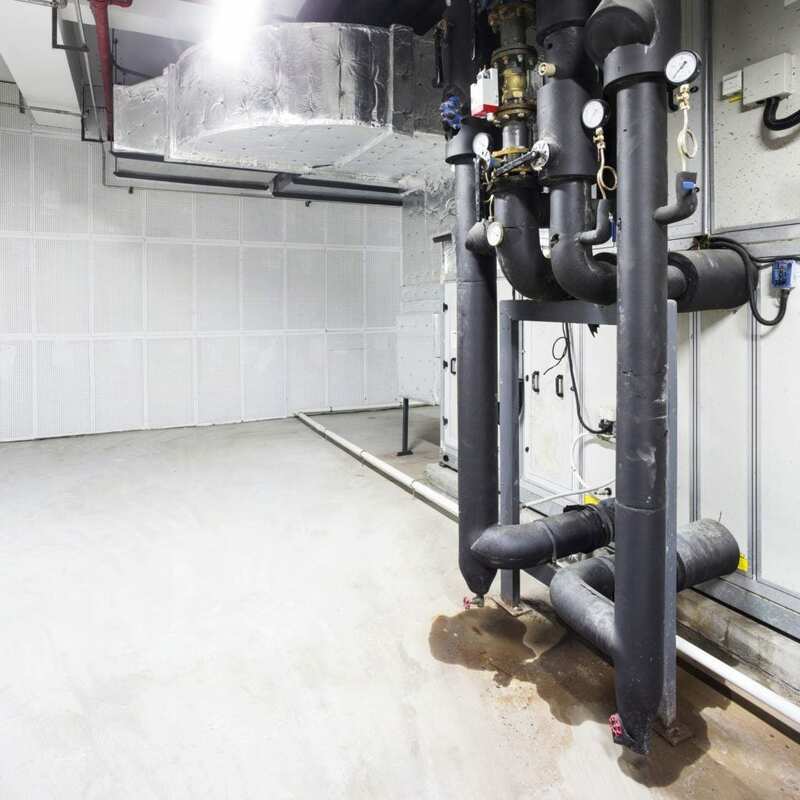 Sometimes when you manage a commercial property, you might not have time to think about the condition of your commercial plumbing system. If a plumbing problem progresses in the system, eventually you are going to deal with some expensive and unpleasant consequences. The best way to limit the problems that commercial plumbing issues can cause is to be aware of their symptoms. Earlier detection means earlier repairs and damage prevention. The demands and responsibilities of a manager are countless, that’s why let our plumbers from Norwalk/La Mirada Plumbing Heating & Air Conditioning to think about your plumbing system for you! Contact us for more information.